A couple at Riverview Church North has complained about the unresponsiveness of their multi-site church’s video screen for their need for pastoral counseling, according to sources. Derrick and Judy Markham had been having some communication issues at home, and decided to seek help from their multi-site church, affectionately known as “R-North.” Going to the screen from which they get their weekly Sunday messages, the couple began pouring out their marital issues to the inanimate object, including Judy’s spending and Derrick’s untidiness. However, after a good half-hour with no response from the video screen, the couple’s discussion stalled, and they left discouraged. The Markhams considered leaving R-North, but they love the satellite sermons and brand identity enough that they are willing to stay. Despite the disappointment, the Markhams aren’t giving up on their multi-site church’s head figure. The couple says they’ve asked the video screen to visit Mr. Markham’s bedridden great aunt later this week. I saw a selection of chapters at the ISD booth at SBL in San Antonio of this brand new volume and it’s something that I thought then as I looked through it – “This looks brilliant and it has fantastic illustrations as well.” The German edition is over 500 pages and the English version even longer. The link above leads to a German description but don’t let that throw you. It has indeed just come out in English and the publisher has sent along a review copy. Unlike many atlases this one performs the dual service of discussing locations along with the more famous residents of those particular locales. More specifically, when a city or town is described and historicized, the more important souls connected with the Reformation are also described and placed within their historical context. So, for instance, when Basel is the subject of discussion not only is the city described but Oecolampadius and Erasmus are too. Bretten gets treated and naturally its treatment includes a description of Melanchthon. Cambridge and Cranmer, Copenhagen and Bugenhagen, Edinburgh and Knox, Prague and Hus and on and on it goes covering every city from Antwerp to Zurich, in alphabetical order. Turning, then, to one extensive excerpt: on page 97 Cambridge is the city in focus and Thomas Cranmer is the important personage associated with that city. Charlotte Methuen describes Cambridge in Cranmer’s day and then she turns to a discussion of Cranmer in the context of Henry VIII’s reign and then in the context of Edward VI’s and then, finally, in the context of Mary I’s. 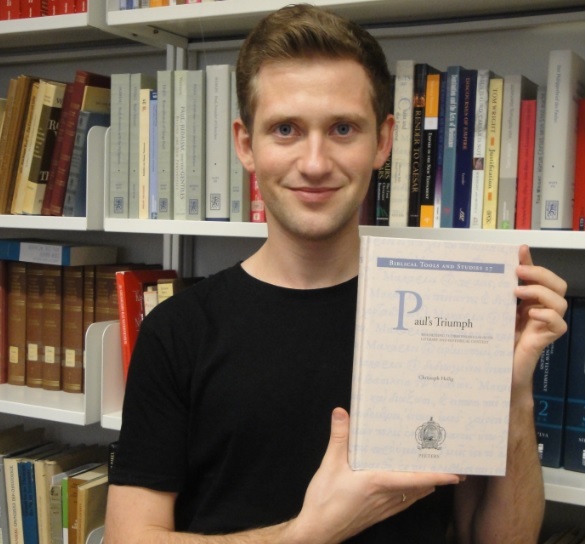 Each city and each citizen discussed throughout the volume is brilliantly examined. Readers of the volume may be tempted to view it as a sort of encyclopedia given its alphabetical arrangement but make no mistake, readers will find themselves reading right on through the entire work without pausing beyond human necessity between chapters. Each chapter concludes with a very brief list of further readings and a very short list of websites related to the city discussed in each chapter. I love this book. I love the font and the full color illustrations and I love the content and the astonishing scholarship on full display. There’s simply nothing like it on the market and all who are flocking to Reformation things this 500th anniversary of Luther’s Theses will do very well indeed if they make the effort necessary to read it. But then again it really is not as though effort is necessary. Instead, reading it is a pleasure and a delight. 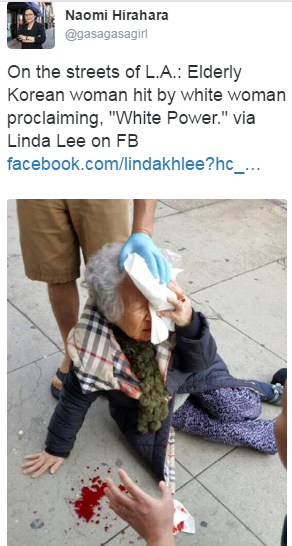 Donald Trump’s America: Are Any of You Who Call Yourselves Christians Happy With This? Because if you are, and if you think this is ok, then I have news for you- you aren’t a Christian. And you aren’t even a good or decent person. Is Calvin Talking About Satan, or Donald Trump? Evangelical Supporters of Trump: What’s Wrong With You? I know there’s something wrong with Trump. He is immoral, amoral, perverse, hateful, xenophobic, misogynistic, and not a Christian. But what’s wrong with you that you actually support such a person and continue to defend him? How is that appropriate? How is Trump anything other than self serving and self aggrandizing and how does that sort of disposition line up with the demands of Jesus? He used the occasion to jokingly call for prayers for its new host Arnold Schwarzenegger. Since when is prayer a matter of jokes? How is it ok with you that Trump treats it as such? “Ratings went right down the tubes. It’s been a total disaster,” he said. Again, how is that appropriate subject matter for a prayer breakfast? How? ‘The hell with it’? And you’re actually ok with him? You are a great mystery to me. Explain yourselves. Explain how you manage to disconnect your Christianity (ok, supposed Christianity) from your politics. How? Just how? 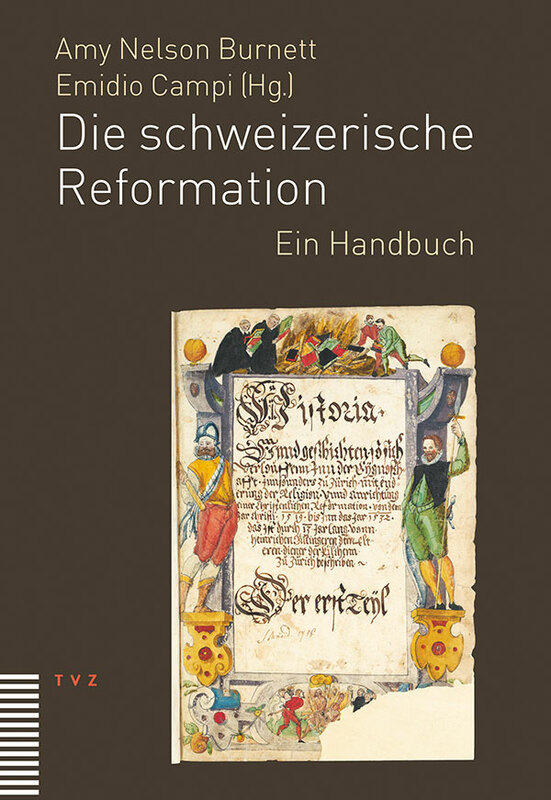 Die Reformation ist eines der grossen Ereignisse der Schweizer Geschichte. Die neuen religiösen Auffassungen lösen heftige soziale Konflikte aus, die die Vertrauensbasis zwischen den katholischen und protestantischen Orten erschüttern und den Zusammenhalt der Eidgenossenschaft infrage stellen. Der starke Einfluss des Humanismus, die ausgewogenen Machtverhältnisse in den Städten und die religiöse Autonomie vieler Landgemeinden – das alles zusammen gibt der Reformation in der Schweiz ein unverwechselbares Profil. Das Handbuch zeichnet detailliert die Ausbreitung der reformatorischen Bewegung in den Städten Zürich, Bern, Basel, St. Gallen, Schaffhausen und in den ländlichen Gebieten wie Graubünden, Appenzell und der französischsprachigen Schweiz, aber auch die gescheiterten Reformationen oder die Täuferbewegung nach. Es zeigt, wie sich im Lauf des 16. Jahrhunderts aus einer diffusen Bewegung eine disziplinierte Gruppe von Kirchen mit definierten Glaubenssätzen und eigenständiger Kultur entwickelt hat, und erkundet die Langzeitfolgen der Reformation auf die schweizerische Gesellschaft, auf die religiöse Kultur wie die Alltagskultur, auf Bildung, Gemeinwesen und Politik. Mit Beiträgen von Irena Backus, Jan-Andrea Bernhard, Erich Bryner, Amy Nelson Burnett, Emidio Campi, Bruce Gordon, Kaspar von Greyerz, Sundar Henny, Karin Maag, Thomas Maissen, Martin Sallmann, Regula Schmid und Andrea Strübind. In Ulrich Zwinglis Ethik spiegeln sich entscheidende Stationen seiner Biografie wider: seine Kritik am Solddienstwesen, seine Begegnung mit dem Humanismus und seine Pesterkrankung. Anhand dieser Stationen ethischer Sensibilisierung kristallisiert der Ethiker Matthias Neugebauer die zentralen Fragen des Zürcher Reformators heraus: Was ist Gott? Was ist das Gute? Was ist Gerechtigkeit? Gibt es eine Freiheit des Willens? 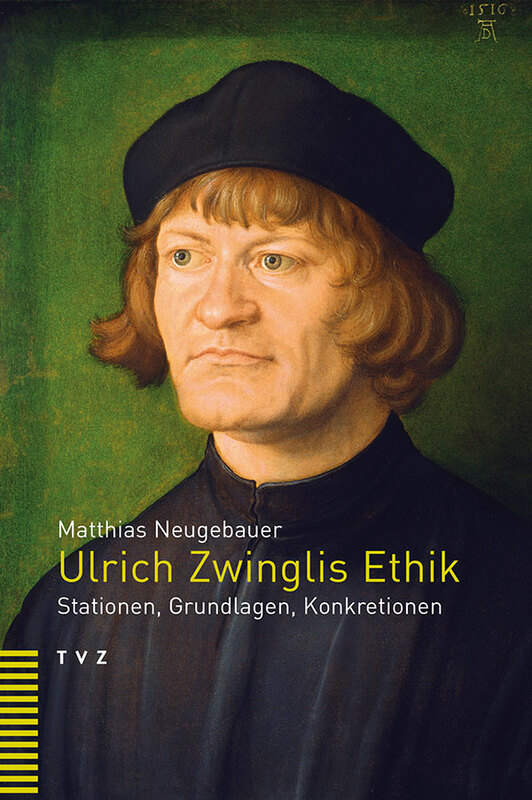 Zwingli durchdachte die praktischen Konsequenzen des Christseins mit Leidenschaft und nahm Stellung zu den gesellschaftlichen Auswirkungen auf Ehe und Familie, Arbeit und Müssiggang, Staat und Obrigkeit sowie Krieg und Frieden. Oswald Myconius (1488–1552) war Schulmeister in Basel, Zürich und Luzern, Mitarbeiter und erster BiografZwinglis und ab 1532 als Münsterpfarrer Vorsteher der Basler Kirche. 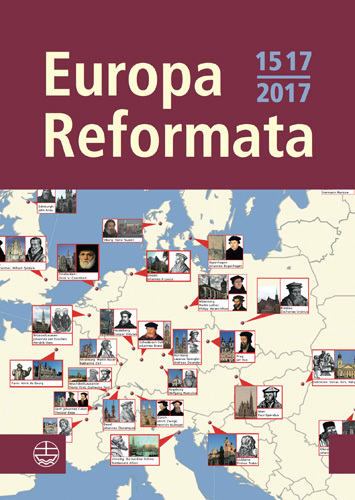 Sein Briefwechsel ist mit1338 Briefen eine ausserordentlich ergiebige Quelle zur schweizerischen und europäischen Reformationsgeschichte.Er dokumentiert das Informationsnetzwerk und die Entscheidungsprozesse der politschen,kirchlichen und theologischen Eliten im schweizerisch-oberdeutschen Raum, insbesondere in denJahren 1531 bis 1552. Zu den Hauptkorrespondenten von Myconius zählen Zwingli, Bullinger, Bibliander,Bucer, Capito, Vadian und Calvin. Rainer Henrich fasst den Inhalt sämtlicher erhaltener Briefe erstmals in heutigem Deutsch zusammenund erschliesst sie durch ein Orts-, ein Personen- und ein Bibelstellenregister. Den Briefregesten vorausgehen eine biografische Einleitung zu Oswald Myconius auf neustem Forschungsstand sowie ein Werkverzeichnis. How fantastic do these three books look? STORM – LETTER OF FIRE is one of several projects to mark the 500th anniversary of the Reformation. The family film is a production of the Dutch producer Phanta Basta! Incredible Film represents the historical family film STORM – LETTER OF FIRE on the international market. Story: 12-year-old Storm is caught up in an exciting adventure when his father Klaas (Yorick van Wageningen – The Girl with the dragon Tatoo, Blackhat, 47 Ronin) uses his printing business to print secretly forbidden texts. With an original Luther letter in which the Catholic Church got challenged, Storm and his friend Marieke embark on a fearless fight for freedom. The story takes place against the background of the late Middle Ages, particularly the 16th century reformation, when freedom of speech was under threat in Europe. Thanks in part to the rise of the printing press, this led to a dangerous struggle for power and significant political, religious, economic and social changes. For the first time, it became possible for people to spread their ideas on a large scale, comparable to the rise of social media in our time. The film has been directed by Dennis Bots and is scripted by Karen van Holst Pellekaan – the team behind Cool Kids Don’t Cry and Secrets of War. Trailer: Go here to watch the English trailer. That’s the text I’d read. I doubt anyone in the room would though. 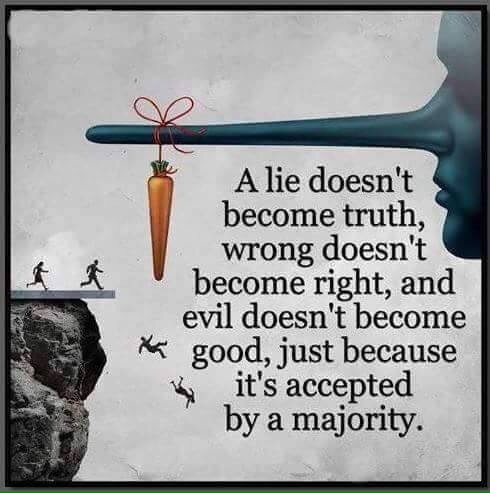 Which is why their ‘faith’ is pointless. In this post I would like to highlight some specific aspects of my book where I hope that I have made helpful contributions. In other words, instead of offering a summary of my argument, I would like to point out some areas (some obvious and explicitly addressed in the book, some not; some central to my thesis, others only implications it might be valuable to draw out) in relation to which the results of my research might be relevant. Of course, whether these aspects actually would profit from my perspective is for others to judge, but I would like at least to point out where I myself see some potential. Read the whole post, it’s quite detailed. And the book sounds good too. And even though Christoph looks 16 he really is older and wiser. 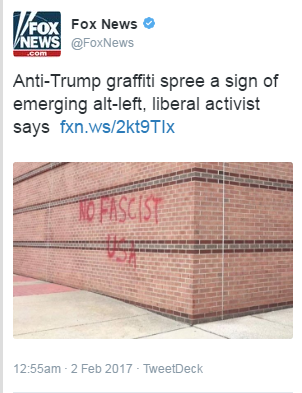 I guess they think he’s a fascist too.